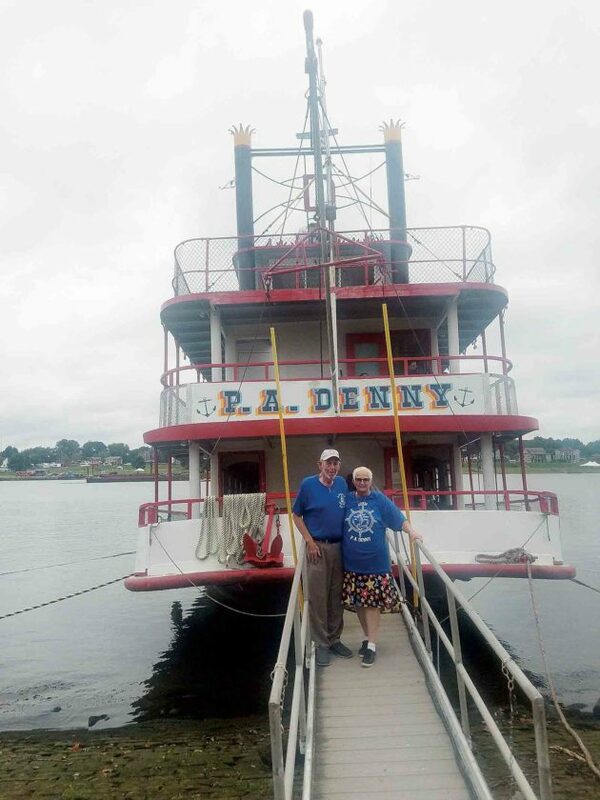 MARIETTA — There may have been clouds in the sky and rain on the ground, but the second day of the Ohio River Sternwheel Festival’s 43rd year was still a success. “I love listening to the variety of music,” said Melinda Barmann, of Marietta. “Each band is different, I especially loved Cash Campbell (Friday) and hope he comes back,” she said. 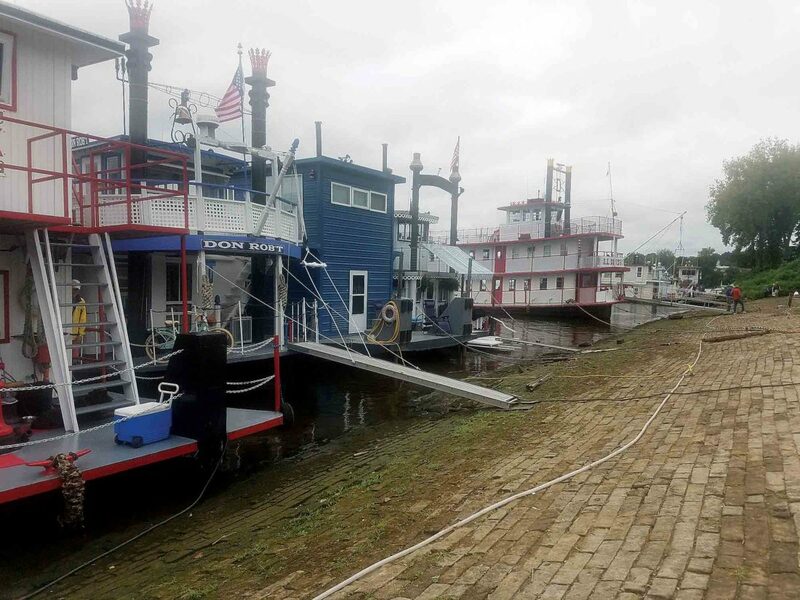 Some sternwheelers headed home early Saturday, afraid of bad weather and flooding. “I am from Nitro, W.Va., 138 miles, from here, which in a sternwheeler takes two 10-12 hour days,” said Vince McCormick, captain of Mudsock. “I enjoy coming out each year, so I’ve done this for about 20 years now,” he said. There was plenty of music playing, food to eat and vendors selling festive items all through downtown Marietta. “I love having events in Marietta, it is such a neat little town with great shops to look through,” said McCormick. Those attending the festival brought umbrellas and other rain gear in expectation of Saturday’s precipitation. 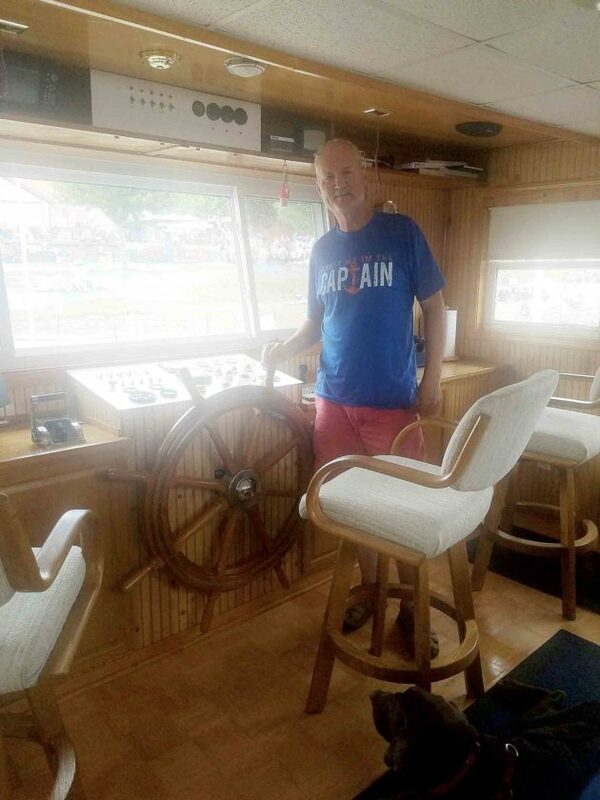 “I have brought a boat out here for over 40 years now,” said Captain Heck Heckert, of Parkersburg, owner of the boats Dixie and P.A. Denny. 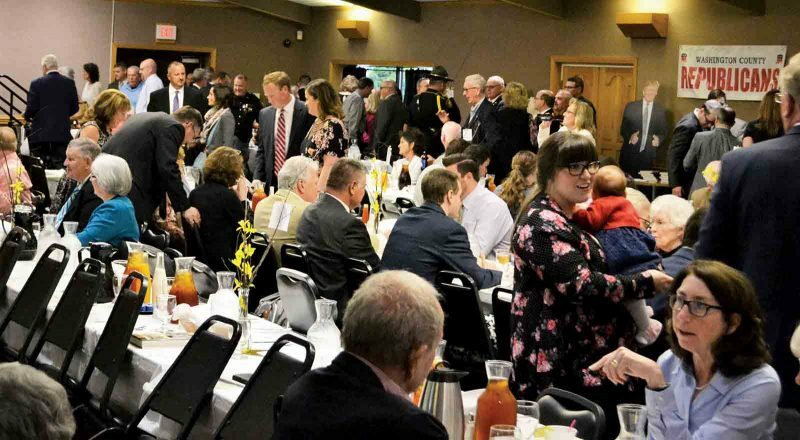 “We have family scattered all around, even in different states; it fills me with happiness to have all our family together each year for this event,” said Heckert. 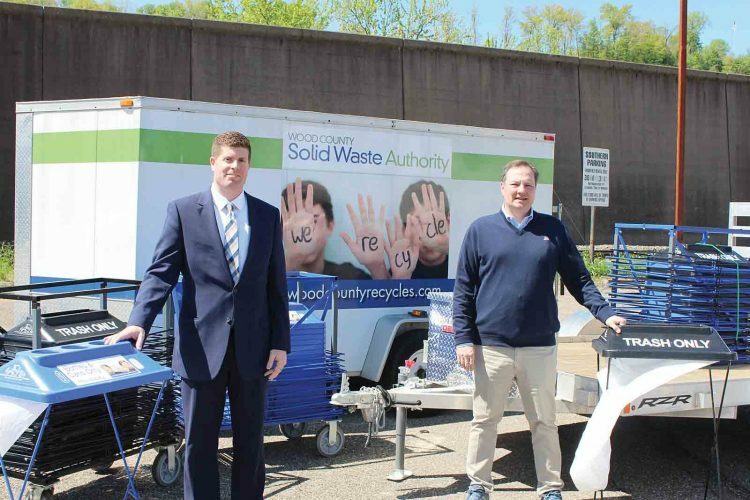 “Marietta has done such a successful job with utilizing the river, preserving its history and helping display the local talent with this event,” he said. It was announced that some of today’s events will be moved inside the Lafayette Hotel ballroom due to the expected rain. 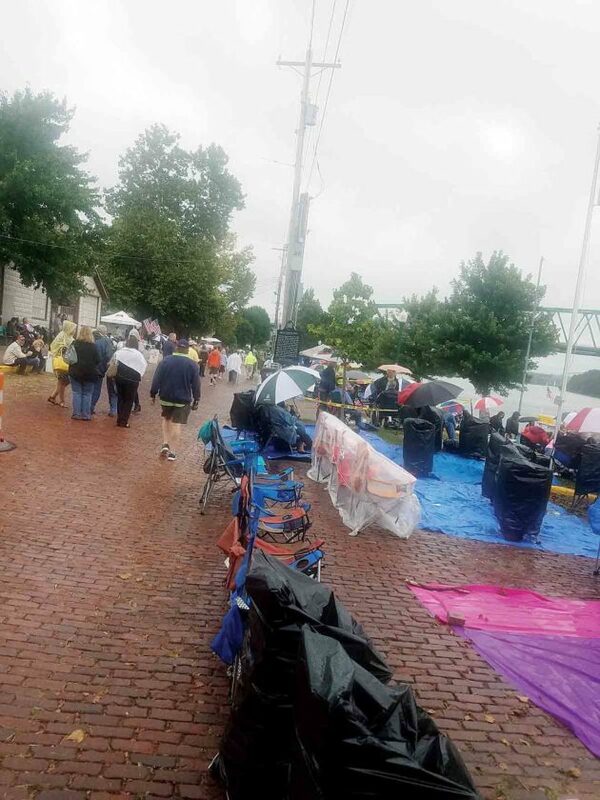 “We come out every year rain or shine to listen to the music and hopefully see the fireworks,” said Donald and Dixie Derr, of Ashland, Ohio.